Crash barriers can be installed in a huge number of different settings to provide protection for drivers, pedestrians and property owners. They create a strong barrier that will deflect vehicles from their course rather than allowing a collision with another vehicle, a person or a building. Our bespoke barrier safety systems are always designed to offer the optimum level of protection to suit the specific setting. To provide maximum protection, barriers need to be designed with the optimal layout and in the best possible materials. There are two main different types of barrier to choose from; Armco and Open Box Beam (OBB), as well as several different types of post. There are three options in this regard to cater for different requirements. RSJ and Z-section profile posts can be bolted down or concreted in place. They also come in a range of centres to suit the beams and provide the combination of rigidity and deflection you are looking for. The third type are spring posts. These are designed to put less strain on the bolts or concrete when they are struck, thereby reducing the risk of a failure. They are used to create flexible systems rather than the aforementioned rigid ones. They need to be correctly centred, additional compression needs to be accounted for, and there needs to be ample space behind the barrier to provide the highest level of defence against crashes and collisions. 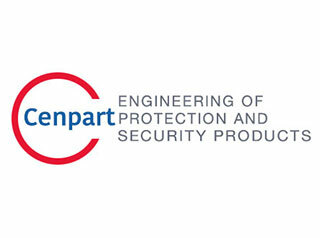 At Cenpart we provide both Armco and OBB crash barriers and the three different types of post. We cater for all requirements and can design a unique system to suit the needs of any sector, and as all our products are manufactured by ourselves, we can ensure they are tested to the highest standard. If you are planning on installing a barrier in a non-motorway setting you can rely on us to help you.